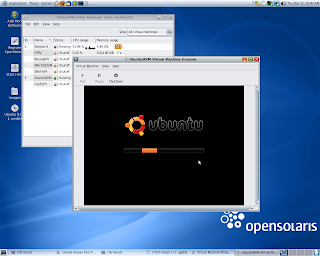 Notice that installation Ubuntu HVM and runtime performance at opensolaris 2008.11 Dom0 is extremely low versus same HVM perfomance at Xen 3.3.1 openSUSE 11.1 Dom0 on the same box with C2D E8400 and 8 GB RAM. Actually, Linux as well as Nevada HVM DomUs demonstrate very low performance even been installed on zvols. Paravirtual DomUs behave at opensolaris 2008.11 absolutely normal been installed on zvol’s images. [ 9603.611871] No mptable found. [ 9603.616440] Xen reported: 3005.552 MHz processor. [ 0.233770] SELinux: Disabled at boot. [ 0.233778] Failure registering capabilities with primary security module. [ 0.277943] ACPI: Interpreter disabled. [ 0.278261] xen_mem: Initialising balloon driver. [ 0.297369] Time: xen clocksource has been installed. [ 0.365665] Event-channel device installed. [ 0.371631] Successfully initialized TPM backend driver. [ 0.378447] netfront: Initialising virtual ethernet driver. [ 0.394525] rtc: IRQ 8 is not free. [ 0.395021] PNP: No PS/2 controller found. Probing ports directly. [ 0.395840] i8042.c: No controller found. [ 1.362441] EXT3-fs: mounted filesystem with ordered data mode. 0 upgraded, 0 newly installed, 2 to remove and 185 not upgraded. After this operation, 2626kB disk space will be freed. bound to 192.168.1.63 -- renewal in 122354 seconds. to disable checksum offloading at DomU (due to “rge” Solaris Driver at Dom0) and reboot. This entry was posted on Thursday, December 11th, 2008 at 7:06 pm and is filed under Uncategorized. You can follow any responses to this entry through the RSS 2.0 feed. You can leave a response, or trackback from your own site. Hi, thats a great blog. 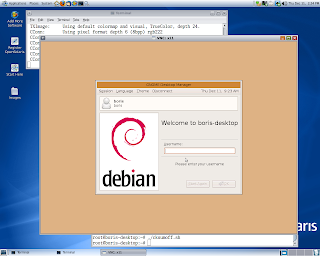 I run a xen home server for years now with opensuse 10.3, works pretty well. 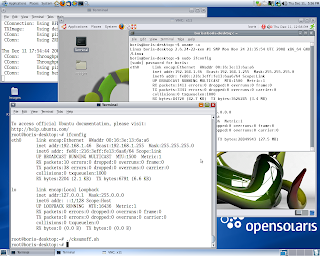 I did install opensolaris 2008.11 and its really looking great, especially zfs will make upgrades etc easier. 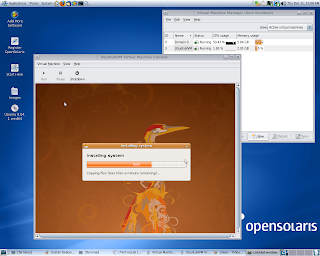 Whats the xen version included in opensolaris 2008.11 ? Did you test pci-pastrough to PV-domus ? 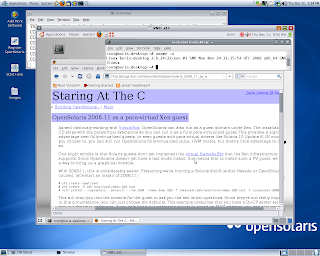 opensolaris 2008.11 is based on Nevada 101b . Current Nevada xen bits – 3.1.4.